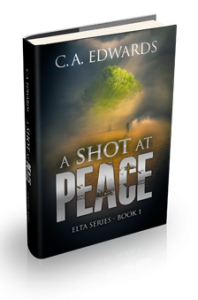 On Elta, Colfar wanted peace. On Earth, he wanted Hannah. To live, he needs both. But don’t take their word for it. Why don’t you give the first three chapters a read… for FREE. I’ll bet you will be hooked. Enter your email below, to get the first three chapters immediately for you to check out. You can choose from PDF, .mobi and ePub formats.